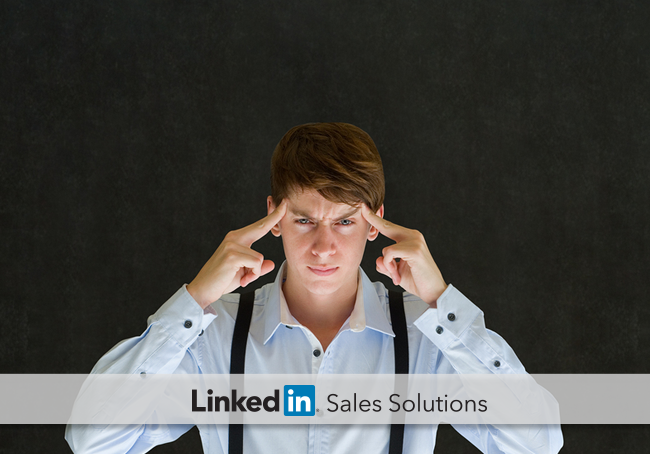 Discover why, in most cases, using sales psychology in the social selling era does more harm than good. Since the dawn of the information age, few groups have become more empowered than consumers. If consumers haven't seen all the sales tricks by now, they've learned about them. And nothing gets potential buyers to tune out a sales message faster than feeling like they're being manipulated. Yet, month after month, new articles are published that include tactics for getting buyers to do what you want using sales psychology. If you come across an article providing sales psychology tactics, there's a good chance you should sprint away from it. Now granted, we are all consumers, and we are all subjected to sales psychology daily when we watch TV, navigate the web, and walk the aisles of our favorite stores. This is not what I’m referring to. We’ve come to accept this form of sales psychology, at least to a certain extent. Ah yes, the classic assumptive close. I thought this tactic went the way of the cold call but apparently people are still using it, and even worse, are advising others to use it well. Scarcity, impending doom, the conditional favor; especially in B2B sales, if it's meant to influence the buyer in a way that is not readily apparent, don’t do it. Sometimes we can use sales psychology to enhance the buyer’s decision making journey. For example, research indicates that more of today’s buyers prefer social media for research, and are relying more on peer recommendations than they were a few years ago. A social seller can use this information to cater to a buyer’s preferences. A few years ago, a major biotech firm wanted to find out which behaviors separated the top sales reps from the average ones, so they conducted a six-month, double-blind study. The study yielded an unexpected, overwhelming finding: The all-star sales people had a much greater sense of purpose than the average reps.
To succeed long term, you need to fundamentally believe in what you are doing. You need to believe that your efforts are noble; that you are making a positive difference. Selling using manipulative tactics wears you down over time - it erodes your sense of purpose, which ultimately deflates your drive. Genuine empathy worked for Dale Carnegie back in the day, and it remains the best approach to building quality relationships. Whenever possible, look at the sale from your prospect’s perspective. Make the prospect’s concerns your own, do your best to alleviate them, and deliver a memorable experience by treating prospects the same way you’d love to be treated. Taking the noble route doesn’t lead to a sale every time, but it certainly leads to more sales and stronger relationships over time.